Background/Info: Philipp Münch is one of those sonic enigmas to me. The German artist has been involved with such an endless number of bands/projects while he also started a prolific solo-career under his own name for a couple of years. He has dealt with multiple music styles he became somewhat unpredictable. 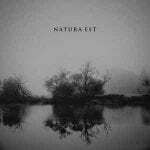 Content: This new opus takes off a rather dark and somewhat vintage-style, but rapidly moves towards dark, tormented and somewhat industrial-like sound treatments. Philipp Münch again brings different influences together, creating an imaginary sonic patchwork between ambient-, industrial-, experimental-, technoid- and cinematographic music. Some cuts remind me a bit of the darkest electronics of The Klinik with some extra industrial flavor on top. But other parts are moving into techno/acid experimentation while the last track is even more IDM-like. 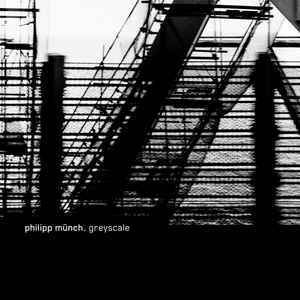 + + + : Philipp Münch is a long-time renowned and highly considered sound genius, which is already confirmed on “Greyscale”. 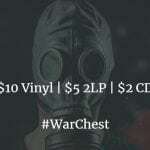 He has a nose to create intelligent music compositions with a great vintage (analogue) touch. “Greyscale” sometimes sounds a bit like the offspring between different projects Philipp got involved with. It first of all remains a dark productions also characterized by German vocals. I like the ‘klinikal’ touch supporting the great “Tier” but also the pure industrial-like “Fangs”. The best cuts are right at the final part of the album and I here especially want to tip the techno-acid minded title track plus the more sophisticated “Keine Tränen”. – – – : I don’t have real minus points to mention. This album reveals a succession of great and diversified cuts. So I can imagine the diversity and especially some of the featured influences will maybe not ravish all listeners. Conclusion: Philipp Münch confirms his talent as musician, but most of all his sonic eclecticism making him one of the most unpredictable musicians from the industrial scene. Best songs: “Greyscale”, “Keine Tränen”, “Alter Ego”, “Fangs”, “Nichts Dringt Mehr Durch”.